Phillip is one of the Casino Drivers that does transport Casino Employees to and from the casino for work. We offer transportation for those Students that attend the Training Institute in Skillcenter. 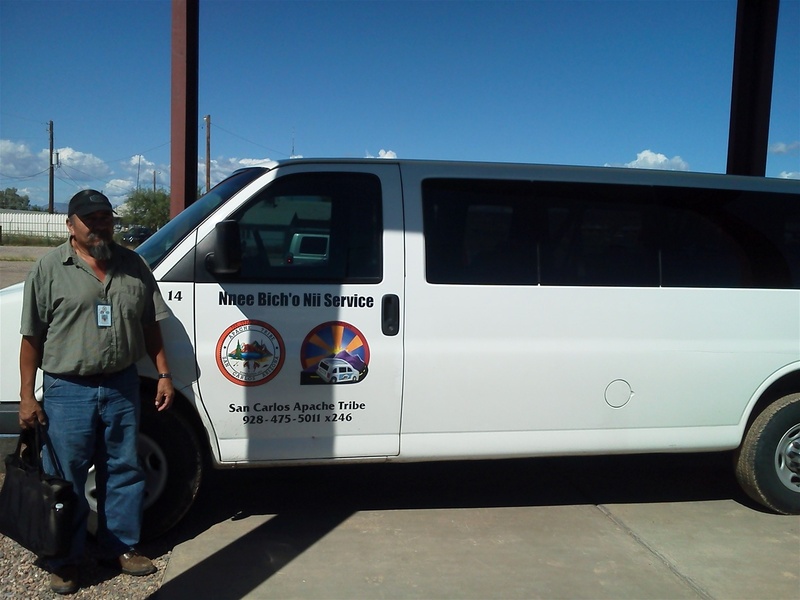 We also do transportations for the San Carlos Training Institute and Apache Gold Casino. We transport students to Skillcenter for class and also transport students to their drop off sites. Pick up times for the Institute are as posted on schedule below, be at designated stop 5 minutes early; for, we are on a set time schedule. We transport casino employees to the Casino for work and we also transport casino employees home after work. Pick up times for the casino employees are as posted on schedule below, be at designated stops 5 minutes early; for, we are on a set time schedule. Casino has 3 routes throughout the day; casino has a morning run, an afternoon run, and also a late run.